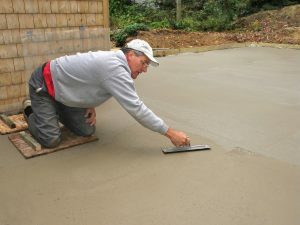 Concrete Repair Chicago: Which Kind of Concrete Repair is Best? 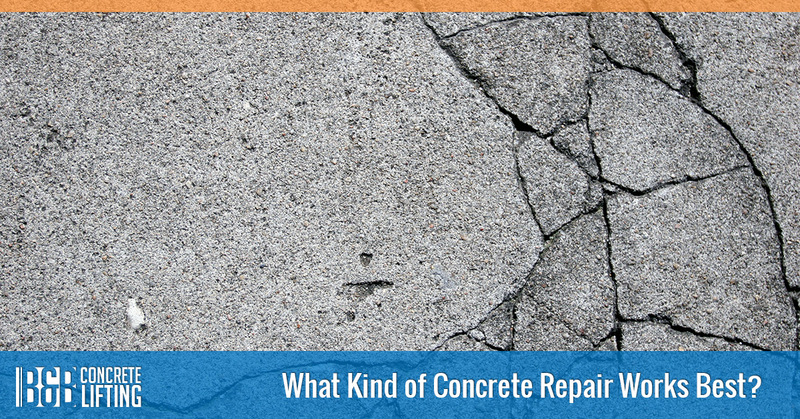 What Kind of Concrete Repair Works Best? If you have concrete that is cracked or starting to sink, you probably wonder what your concrete repair options are. 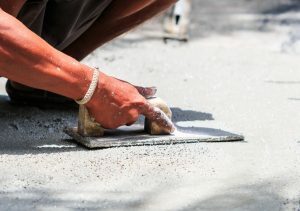 While it might seem like there should be a simple answer, concrete repair can be a complicated matter that can be taken care of in several ways. In this blog, we will cover why concrete lifting is the best option for most of the concrete problems you have, as well as why the other repair options usually won’t permanently fix the issue. 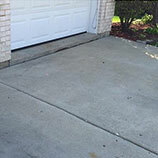 If you know you need concrete repair right now, call B & B Concrete Lifting in Chicago. We have decades of experience in concrete lifting and repair and we can make your concrete look better and be safer. 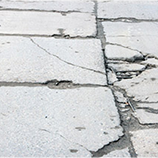 Unless something extremely heavy fell on your concrete and cracked it, cracks are caused by the uneven pressure exerted upon the concrete slab due to soil compaction (the flattening down of soil due to pressure from above) or soil erosion leading to voids underneath a slab. These voids allow one part of the slab to sink while other parts of the slab are still sitting flat on soil. This pressure then starts to crack the slab. 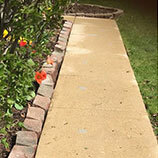 If you have cracks in your sidewalk or other concrete slabs around your home, you know how bad they look and you might have tripped because of one. It can be tempting to call a contractor or concrete company and have them come out and fill in those cracks but that won’t solve the problem. If you do have the cracks filled, it won’t take much time for them to reappear or for new cracks to develop in other spots. While replacing your slab will make it look great, it may not treat the underlying symptoms that caused the cracking in the first place. If the new slab is poured on top of soil that wasn’t properly tamped down and compacted, it can start to sink again. Or, if there were drainage problems that weren’t remedied, the soil will flush out from under the slab again. With concrete lifting, we take care of the underlying problems that can cause a slab to sink in the first place. The process is more simple than pouring a new slab, and it costs far less. 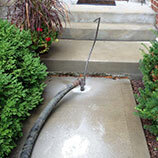 If you want results without a gigantic price tag, call B & B Concrete Lifting in Chicago today!